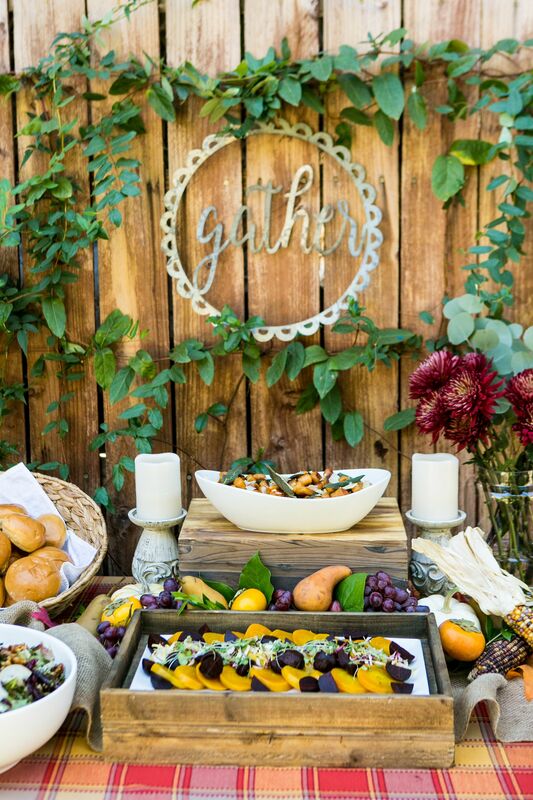 Thanksgiving is right around the corner, so today, we've rounded up a few of our favorite place settings to jazz up your table. Each of these place settings is simple, easy, and can be done in the span of one glass of wine and an episode of This is Us....score! 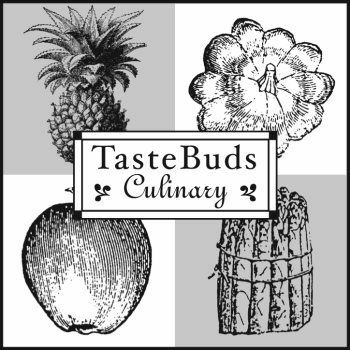 Up first is one of our favorites. 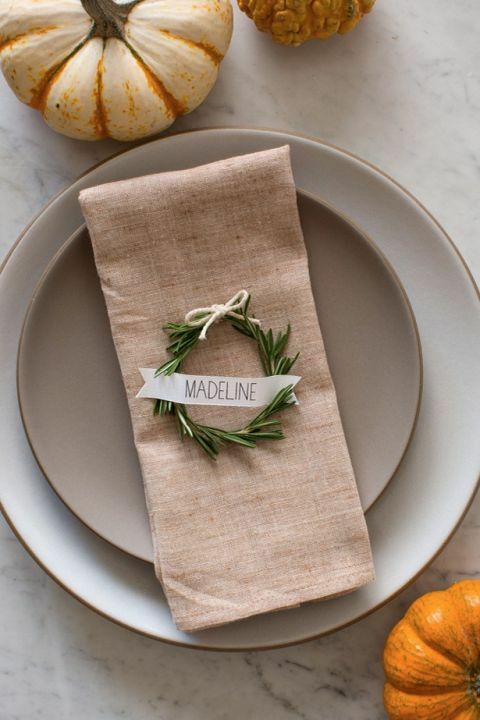 This place setting takes fresh and fragrant herbs that are tied with twine and placed on a napkin. 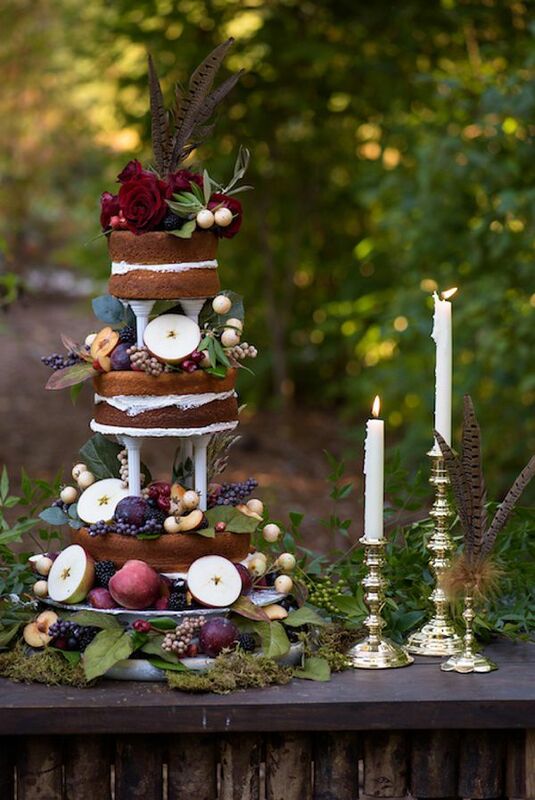 Effortless and elegant...just like how you are imagining hosting Thanksgiving dinner will be, right? Looking for something a little more bright and modern? 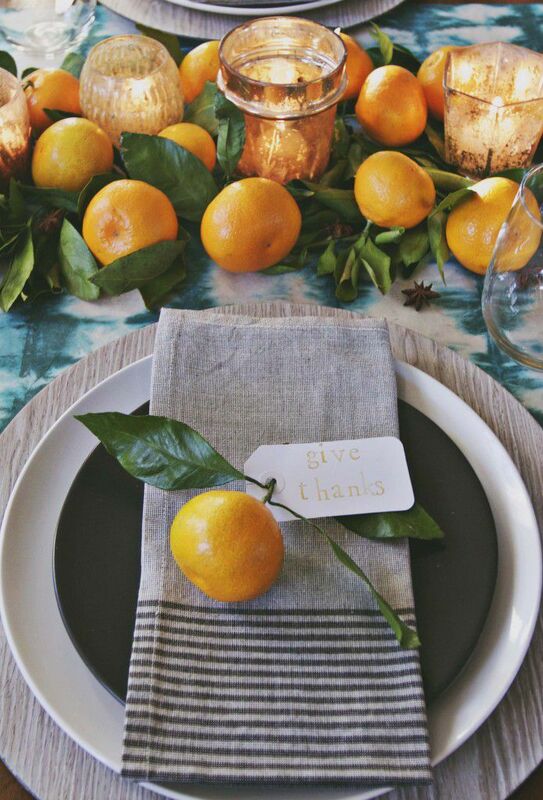 This place setting puts the simplicity and color of a clementine (you can also substitute a persimmon or pomegranate) on full display. Thread a name tag or simple quote on a tag through the stem, and Voila! Instant pop and punch of color! For this place setting, all you have to do is take a trip to your grocery store or local farmer's market. 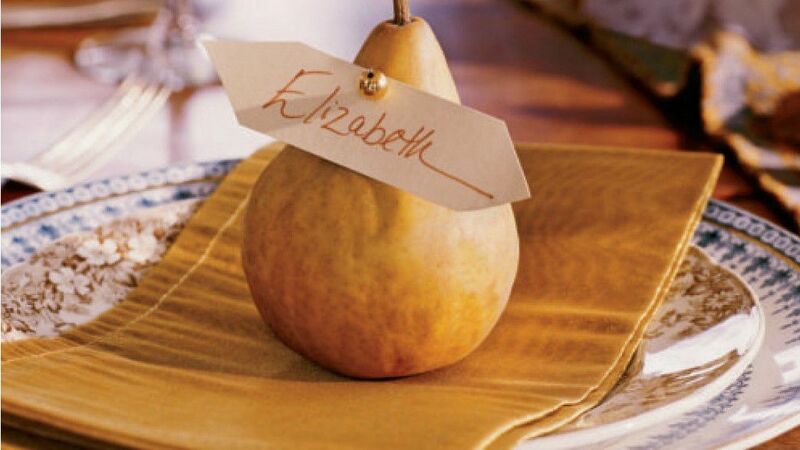 Grab a pear (or mix it up with a few different varieties and colors) a name tag, and a push pin, and you are on your way to making a lovely and natural place setting that even Aunt Cathy will approve of! 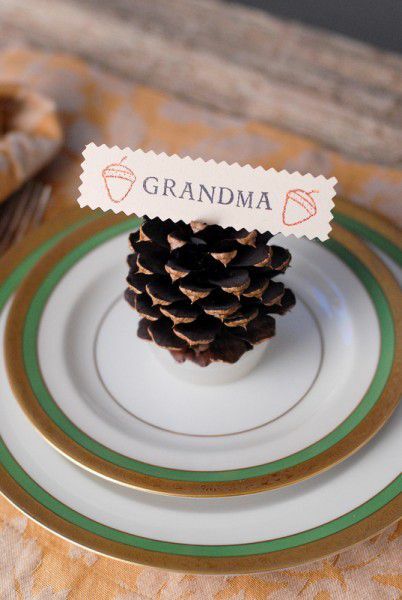 On your next hike with the kiddos, have them collect pine cones for this place setting. Or, if you're like us, you can just buy a bag of them at Michael's with one of those 50% off coupons you've been hoarding. Potato, pot-ah-to! Speaking of the kiddos, here is a hilarious place setting that we will definitely be making for the kid's table this year. Wanna be the cool aunt? 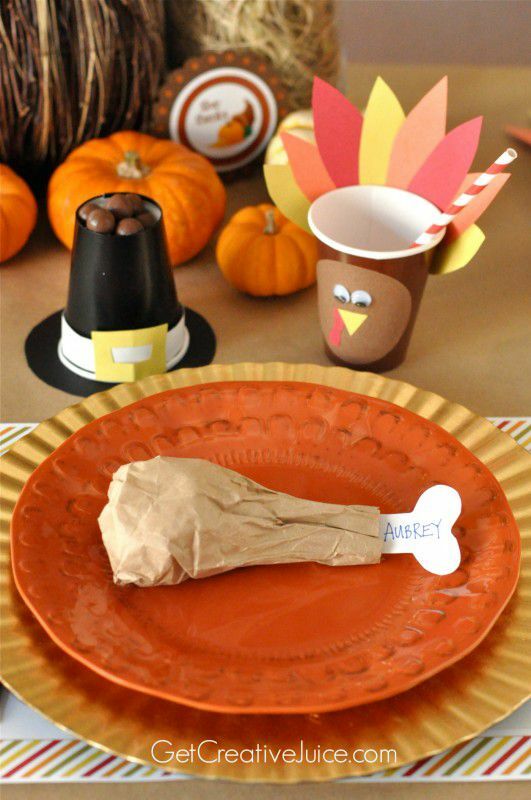 Here's a tip: stuff the paper turkey leg with mini candies or treats! Last, but not least, here is one that will really have everyone feeling the spirit of Thanksgiving. 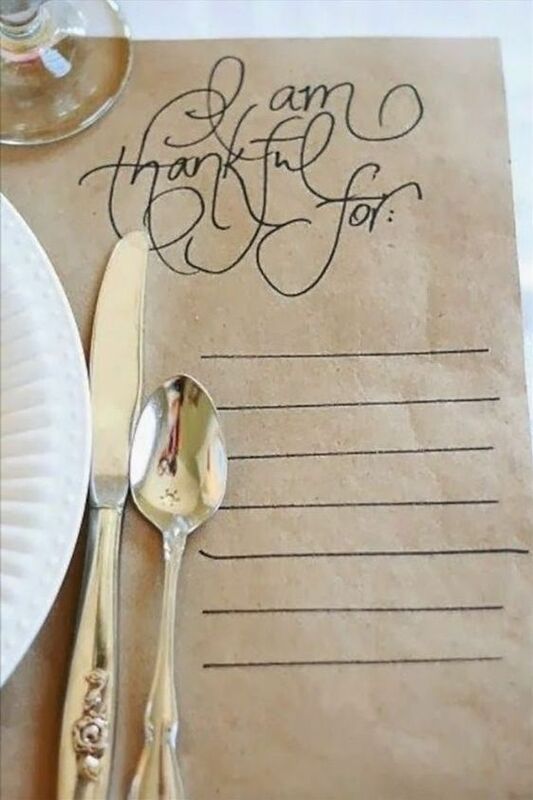 Have your guests list a few things they are thankful for and talk about them at the table. Whether it be family and friends, good health, or just being thankful that your pants have a stretchy waist, talking about what we are grateful for is the quickest way to feel...well, more grateful! just maybe remember to seat chatty Uncle Joe next to the kids this time! Falling for Fall...and this Thyme-Roasted Pumpkin Soup! Fall is my most favorite season, hands down. The crisp breeze, the pumpkins, the leaves changing colors (if you live somewhere other than L.A, that is! ), and getting to pull my boots and sweaters out of hibernation for the season. You want to know what I love even more than all of those things ? FALL WEDDINGS.